Lilian Waite’s date of birth is unclear as she appears to have taken some years off her age, but believed to have been born about 1865 in either London or Surrey. 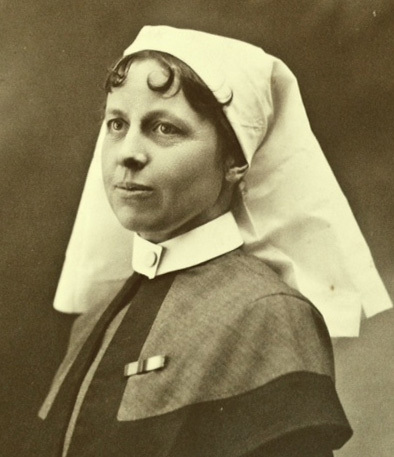 Trained St. George’s Hospital, London, and later joined the Territorial Force Nursing Service, being attached to No.2 Eastern General Hospital, Brighton, where she worked for the first year of the war. 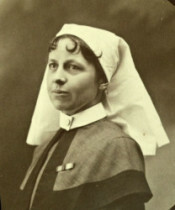 She was posted to France in May 1915, and worked in many different hospitals, including No.1 General Hospital, Etretat. Her next of kin was her sister, Blanche Waite, who lived in Barnes, London, and Lilian Waite’s address immediately post-war was College Hill Cottage, Steyning, Sussex. Lilian Waite died in Guildford in January 1930.